Southeast Asia is an interesting case study to explore trends in international weapons trade. Is the global arms market becoming increasingly “commoditized”? Commoditization refers to an economic situation marked by an almost total lack of meaningful differentiation between competing products, and when they are instead sold almost entirely on the basis of price. Commoditized products are characterized by standardized, common technology or attributes, rather than by brand or capabilities uniqueness, resulting in basically price-based competition. In this regard, Southeast Asia may be a good case study for such possible commoditization. If arms sales to the region are truly becoming a commodity business, it could result in Southeast Asian nations gaining expanded access to advanced military equipment and technology. And given that the security situation in the region is intensifying – in and around the South China Sea, for instance, where the prospects for conflict are increasing daily – the freer flow of all kinds of advanced armaments to local militaries could seriously undermine regional stability. The Southeast Asian arms market is unique in a number of ways. First, it is relatively small, collectively worth only $2 billion to $3 billion annually, according to data put out by the Stockholm International Peace Research Institute (SIPRI). (By way of comparison, every year South Korea spends nearly as much on imported weapons as does all of Southeast Asian combined. However, it is a rapidly growing market and it is one of the more truly open and competitive markets when it comes to arms sales (compared to China or India, which have traditionally bought arms mainly from the Soviet Union/Russia, or to Japan, South Korea, or Taiwan, who are more or less captive markets of the U.S. defense industry). These factors are especially important, given the “buyer’s market” in arms that has existed since the end of the Cold War. As their military procurement budgets have fallen, the traditional leading arms producers in North America and Europe have increasingly gone abroad in search of new markets to compensate for shrinking domestic demand. 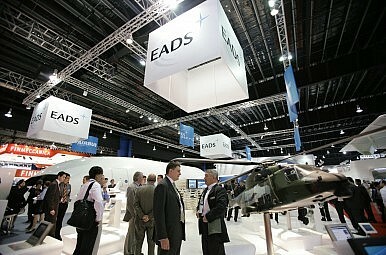 European defense firms such as BAE Systems, Saab, and Thales currently earn up to three-quarters of their revenues from overseas sales. The Russian arms industry is believed to rely on exports for up to 90 percent of its income. At the same time, other weapons-producing states are emerging as competitive arms exporters. The Israeli defense industry typically exports more than 75 percent of its output, while countries such as Brazil, China, Poland, Ukraine, and South Korea have all become aggressive marketers of armaments. Arms exports have not only become critical to the survival of most arms producers, but the global arms market has become saturated with highly motivated sellers. Consequently, supplier restraint has been replaced by a readiness to sell just about every type of conventional weapon system available to Southeast Asia. No potential sale is too insignificant to be passed over, and sellers are ready to deal when it comes to price. This is clearly apparent in the pattern of arms transfers to Southeast Asia over the past decades. Some of the most advanced weapons systems have proliferated to the region, and from a broad variety of suppliers. Russia has sold Su-30 fighter jets to Indonesia, Malaysia, and Vietnam. Indonesia has received 16 T-50 trainer/lightweight combat aircraft from South Korea, and it is partnering with Korea on the KFX next-generation combat aircraft project; additionally, Indonesia is acquiring 24 ex-USAF F-16 fighters from the United States. Singapore has, in recent years, purchased two dozen F-15s, and, as a partner in the international Joint Strike Fighter program, could acquire as many as 100 F-35s. The Philippines has ordered 12 FA-50 fighters from Korea (and may purchase 24 more), while Thailand has bought 12 Gripen fighter jets from Sweden. Meanwhile regional navies have acquired or are acquiring submarines from France, Germany, South Korea, Russia, and Sweden. Malaysia has bought warships from France, Germany, and the United Kingdom, while the Netherlands has sold corvettes to Indonesia and Vietnam. Russia has exported frigates to Vietnam, and China and South Korea are both supplying the Thai navy with warships. Southeast Asian ground forces show even more eclecticism when it comes to arms acquisitions. The Malaysian army operates tanks from Poland; armored vehicles from the United Kingdom, South Korea, and Turkey; multiple-rocket launchers (MRLs) from Brazil; howitzers from South Africa; antitank weapons from Pakistan, Russia, France, Spain, and the U.S.; and surface-to-air missiles (SAMs) from Russia, China, Pakistan, and the U.K. Indonesia’s TNI is outfitted with tanks from Germany; armored vehicles from France and South Korea; antitank weapons from Russia, Sweden, and the U.S.; SAMs from China, France, and Sweden; and it has ordered MRLs from Brazil. The Thai army fields Chinese and Ukrainian tanks, American armored personnel carriers, French and Israeli howitzers, and French, Italian, Russian, and American helicopters. Consequently, no single weapons-supplying country dominates the overall Southeast Asian arms market. In fact, according to SIPRI, no one arms exporter has garnered more than 10 percent of this aggregated market for the past decade; the only exception is Russia, with a whopping 44 percent of the market – but that is due mainly to a recent upsurge in arms deliveries to just one country, namely Vietnam. From these patterns of recent arms transfers, one might infer that the Southeast Asian arms market is becoming increasingly commoditized. The fact that most individual Southeast Asian militaries possess a diverse array of weapons systems acquired from a relatively wide range of supplier states would suggest that the capabilities of competing weapons systems are judged to be relatively equal, and that therefore price is the primary driver behind the arms acquisitions process. And, in general, this might be true, or is increasingly so. Commoditization may certainly have helped new suppliers, such as Brazil, Poland, and South Korea, break into the Southeast Asian arms market. It may also explain how Russia has been able to find expanded opportunities for arms exports to the region, particularly of its fighter jets (to Indonesia and Malaysia, for example). Nevertheless, even given relatively equal capabilities, price alone does not always have the greatest impact on weapon acquisition. A host of other motivations can and do affect arms-purchase decision-making, including reliability, after-sales support (spare parts and upgrades), technology transfers and offsets (such as licensed-production arrangements), and even bribery. In addition, countries may acquire weapons from a particular supplier in order to achieve specific political­/military goals, such as boosting alliances, promoting military interoperability, or forging closer bilateral relations; conversely, a country may choose to diversify its arms purchases in order to signal that it does not wish to be too reliant on a particular supplier. And, for political reasons, some nations will always refuse to buy weapons from certain suppliers, no matter how cheap or how capable (e.g., the Philippines and Vietnam will probably never acquire arms from China, nor Malaysia from Israel). Consequently, the Southeast Asian arms market may be considered only partially commoditized: price, and not branding, may increasingly drive arms acquisition decision-making, but other factors still exert considerable influence. Whether a commoditized market or not, the fact remains that regional militaries are rapidly acquiring the means by which to significantly upgrade and modernize their warfighting capabilities. They are attaining greater firepower and accuracy at greater ranges, expanded force projection capacities (particularly at sea), stealth, improved battlefield knowledge and command and control, and increased operational maneuver and speed. At the end of the day, this is the issue that most vexes future regional security and stability. Richard A. Bitzinger is Senior Fellow and Coordinator of the Military Transformation Program at the S. Rajaratnam School of International Studies, Nanyang Technological University, Singapore.